The passing of a Pixar veteran. 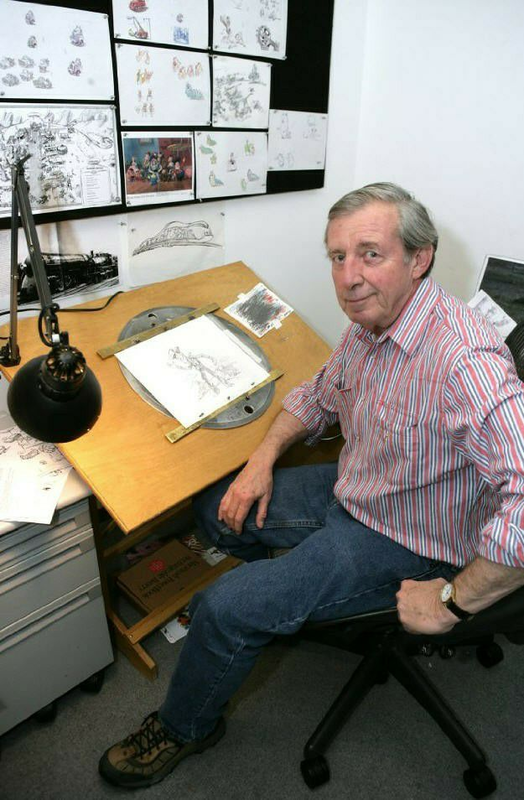 Bud Luckey, one of Pixar’s key animators, passed away yesterday at the age of 84. Bud Luckey (July 28th, 1934 – February 24th, 2018). Photo via Animated Views. If you didn’t know his name or his face, you certainly knew his voice. He portrayed Agent Rick Dicker in The Incredibles, Chuckles the Clown in Toy Story 3, and Eeyore in Disney’s 2011 Winnie the Pooh film. His voice was so well suited to those stoic, frowning Pixar characters. As Jerry Beck reports at Animation Scoop, Luckey had also recorded his lines for Toy Story 4. Luckey’s mark can also be seen in the Toy Story trilogy, Monsters Inc., Finding Nemo, Cars, and Ratatouille, with his character designs. He is credited as the creator and designer of our favorite cowboy, Sheriff Woody. Boundin‘, the 2004 short film that premiered with The Incredibles was also written and directed by Luckey, who provided the voice of the bouncing jackalope. The film’s song with its catchy refrain was performed by Luckey on banjo. Boundin’ has abundant charm even if it’s not one of Pixar’s glossier efforts, and it’s all the more impressive with Luckey’s triple duties as director, narrator, and performer. You can watch the short with Luckey’s commentary in the following video. In addition to Pixar, Luckey was a Sesame Street animator and storyboard artist. Luckey also illustrated numerous children’s books, including Disney’s Golden Books. Luckey is survived by his son Andy Luckey, who posted the news on facebook. You can read his tribute below. In lieu of flowers our family encourages donations to The California Institute of The Arts — Bud Luckey Scholarship Fund. He will be missed at Pixar and beyond. We want to extend our condolences to his family, friends, and colleagues at this time. Farewell to the multi-talented Bud Luckey. By the time I met him at Pixar, he’d had such a full career, he wasn’t scared of technology or crazy deadlines. He helped make Woody the toy he is today, and Toy Story won’t be the same without his laconic sweetness. So long, my friend.